"Island Pastime" (Dunleavy's Pub) by Kevin Curran, Fine Art Print, Single White Mat 11" x 14", Image size 8" x 10". This is a Limited Edition, Signed, and Numbered print. 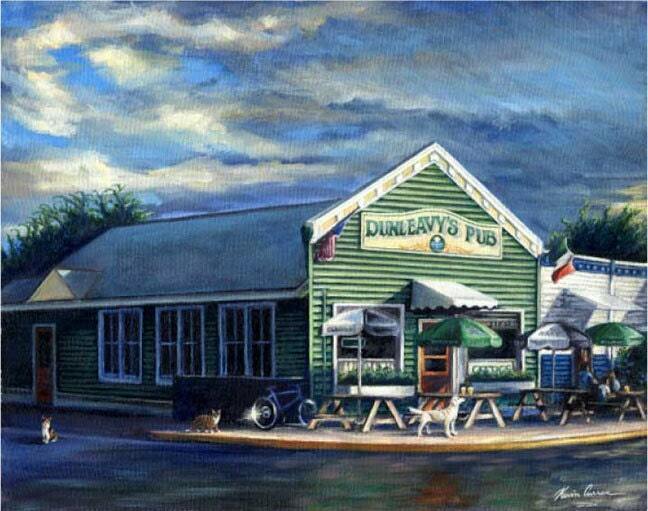 This painting features Dunleavy's Pub, located on Sullivan's Island, South Carolina. An Irish Pub loved by locals and tourists alike.